기사요약: 지난1일 오후부터 2일 새벽 사이 서울 시내 곳곳의 휴대전화 판매점에서 아이폰6 16GB 모델을 10만∼20만 원대에 판매하는 ‘아이폰6 대란’이 발생했다. 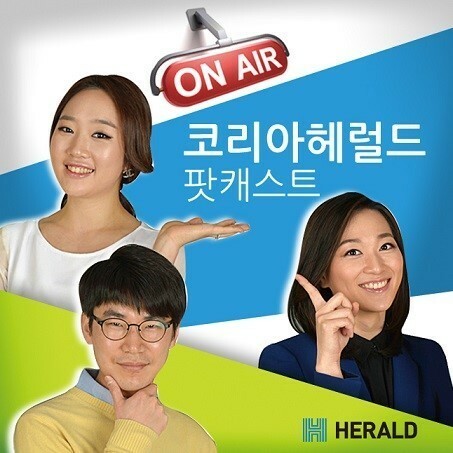 이에 방통위와 미래창조과학부는 이동통신3사(SK텔레콤ㆍ올레KTㆍLG유플러스)의 관계자를 긴급 호출해 강력하게 경고하자 이들은 편법영업을 인정하며 공식 사과했다. 한편, 불법 보조금을 지급하다 적발된 휴대폰 판매점들은 아직 제품을 받지 않은 예약가입자의 개통을 취소하겠다고 통보한 것으로 알려져 소비자들의 불만이 폭주하고 있다. South Korea’s three telecommunications companies are expected to again face punitive measures by communications regulators for allegedly providing subsidies over the legal limit for Apple’s iPhone 6 and 6 Plus. The new iPhone created a stir as soon as it hit Seoul last Friday, with die-hard Apple fans waiting in long lines in front of telecom retail stores in the wee hours to get their hands on the device. SK Telecom, KT and LG Uplus saw the new iPhone as an opportunity to shake things up in the telecom market in which the three companies struggled to attract new customers with Samsung Electronics’ Galaxy Note 4 or Galaxy S5. 기사요약: 교육부와 한국교육과정평가원은 지난 31일 2014학년도 수능 세계지리 8번 문항의 출제 오류를 인정한 고등법원 판결에 상고하지 않겠다고 밝혔다. 앞서 서울고등법원 행정 7부는 지난달 16일 ‘2014학년도 수능 세계지리 8번 문항에 오류가 없다’고 판결한 서울행정법원 1심의 판결을 뒤집어 수험생들의 손을 들어줬다. 이에 황우여 교육부장관은 5일 국회 교육•사회•문화 분야 대정부질문에서 “국민들에게 송구스럽다”며 “조속히 12월 중순 이전 모든 조치를 마쳐 피해를 보는 학생이 없도록 최선을 다하겠다”고 밝혔다. 지난해 수능에서 세계지리를 선택한 수험생은 3만7천684명으로 이 중 8번 문항 오답자는 1만8천884명인 것으로 알려졌다. South Korea’s Education Ministry said Friday it would not challenge the recent ruling on a flawed question on the college entrance exam last year and would take measures to adjust the affected students’ scores, a move that is likely to have an impact on thousands of students’ college admission results. Everyone who took the world geography test that contained the cited question will get credit for it, Education Minister Hwang Woo-yea said in an emergency briefing at the Government Complex in Sejong City. As a result of the unprecedented decision by the ministry, thousands of students who were not admitted to the school of their choice due to the flawed question are expected to gain admission for the 2015 school year. 기사요약: 애플 최고경영자(CEO) 팀 쿡(53)이 자신이 동성애자라고 공개적으로 밝혔다. AP통신 등 주요 외신은 지난달 30일 쿡이 경제주간지인 블룸버그 비즈니스위크의 기고문을 통해 자신이 동성애자라는 사실이 자랑스럽다고 밝혔다고 보도했다. 쿡은 기고문에서 “내 성 정체성을 부인한 적도 공개적으로 인정한 적도 없지만 이미 수년 동안 많은 사람들에게 내 성 정체성을 말해 왔고 애플의 여러 동료들도 내가 동성애자라는 사실을 알고 있었다”고 말했다. 쿡은 이어 “나는 내가 동성애자라는 사실이 자랑스러우며 이는 신이 내게 준 선물 중 하나라고 생각한다”고 말했다. 그가 게이라는 사실은 공공연히 알려져 있었지만 스스로 언급한 건 처음이다. Apple CEO Tim Cook’s declaration that he’s “proud to be gay” wasn’t exactly news in Silicon Valley, where his sexual orientation was no secret. But advocates say that given Apple’s immense reach and visibility, his coming-out could help change attitudes in workplaces across America. The 53-year-old successor to Steve Jobs made the announcement in an essay published Thursday by Bloomberg Businessweek. He is the highest-profile U.S. business executive to publicly acknowledge that he’s gay. In a country where more major-league athletes have come out than top CEOs, business leaders said Cook’s disclosure was an important step toward easing anti-gay stigma, particularly for employees in the many states where people can still be fired for their sexual orientation.